As most married couples will tell you, wedding planning can be a little overwhelming. You’re excited, anxious, and probably have a million questions, and that’s before you even get to the guest list. We might be a little biased, but we strongly believe that all couples should have some professional help while planning their wedding to help them create the event of their dreams (without losing their minds along the way), and actually enjoy attending it. Whether you’ve witnessed a friend or family member’s planning journey or have started planning you own wedding, you probably already know a helping hand from an expert can be essential when it comes to finding the best vendors, making sure all the details are in place, and running the big day. But did you know there are several different types of wedding professionals? THERES A DIFFERENCE YOU SAY?!! Yes, there is a difference. Very often people confuse a wedding planner with a wedding coordinator or a wedding designer. So, which one is right for you? Fear no more! We’re here to decode the differences to help you find the best fit for your event. A wedding planner will be your partner through every single phase of the wedding planning process from start to finish. They’ll take care of everything from brainstorming concepts to helping you find and contract the right vendors, booking hotel blocks and coordinating out of town guests, managing your budget, running your rehearsal, and overseeing everything on your wedding day. Usually a wedding planner will put anywhere from 100 to 250 hours into the planning of one event. 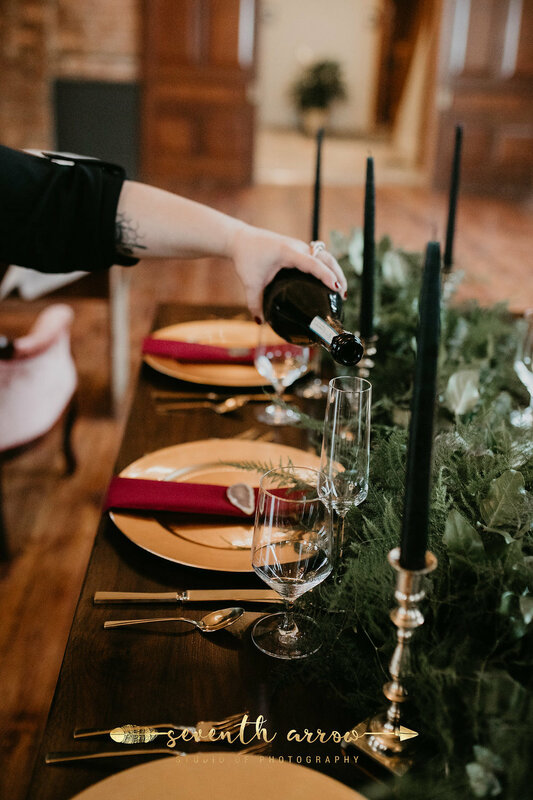 They’ll make sure you have the least amount of stress possible during the planning process, and ensure you don’t have to worry about things like whether the bartender has enough ice when you should be enjoying yourself with your guests. Who should definitely hire a wedding planner? Anyone who wants the least amount of stress possible. You have little free time to commit to planning your wedding. You’re in a time crunch and need an expert to take over the planning of your event. You live in a different city from where your event is taking place. You should expect to invest about 15% of your total wedding budget for a full service wedding planner, or an average of $3-5k. When should I book my wedding planner? Most wedding planners book well in advance – we’ve already got events scheduled for 2020! We recommend that you book your planner a year to 18 months before your event. This will give you the most return on your investment and make the process smoother and less stressful, since your planner will be there from the beginning. You’ll be working together closely, so make sure to check reviews online and have a chat with your planner prior to getting started so you know you’ll be a good team. Instagram is also a great tool to ensure that your planner’s style is cohesive with the vision you have for your day. At Social Maven we offer all 3 levels of service: planning, coordinating, and designing, as well as custom packages designed to meet our couples' needs. Our goal is for you to be able to make an informed decision when hiring your wedding team so your expectations are met and your wedding day is as flawless as you have dreamt about. Want to chat? Send us an email, the coffee's always on us! Join us in the next installment where we'll get into the role of Wedding Coordinator.